Meal courtesy of Yauatcha Soho. 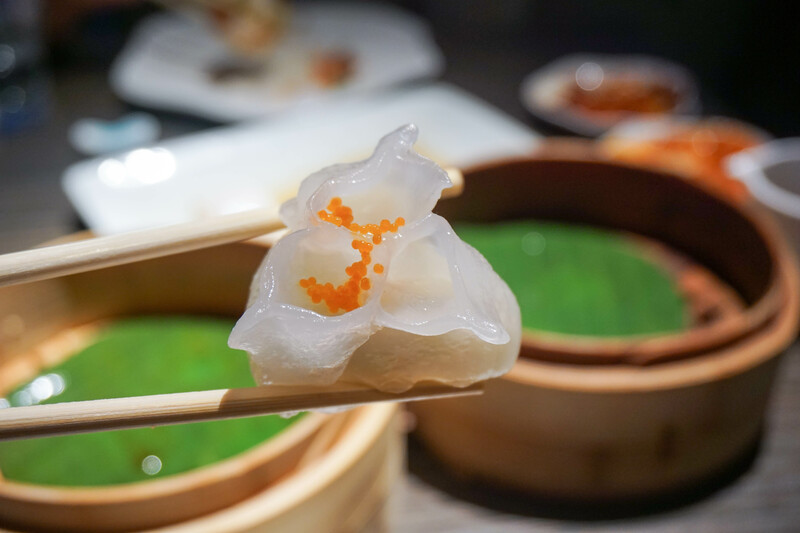 The dim sum at Yauatcha represents an oasis of calm and beauty within the vibrant city of London. 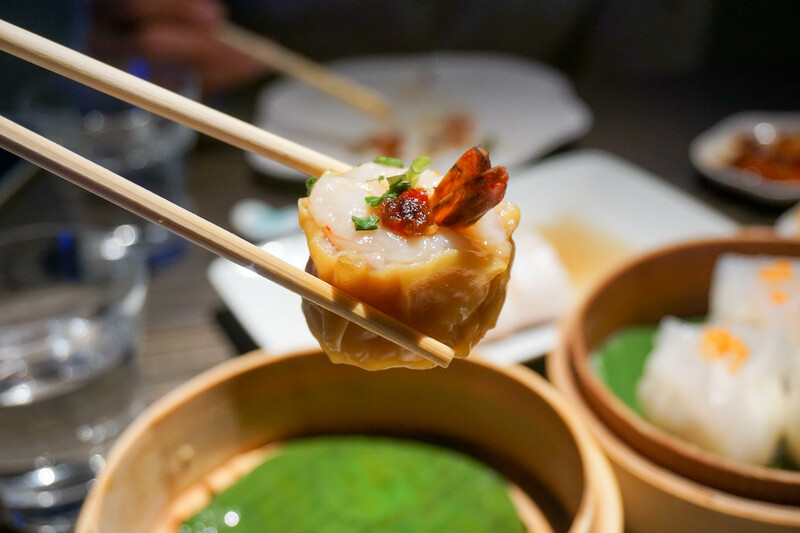 Opened in 2004, it’s no stranger to the Chinese dining scene, with a recent new opening of its second branch within The City, Liverpool Street. Below, a video from the Yauatcha website, a video that best represents the wealth of expertise and reputation Yauatcha currently holds in the restaurant and food industry. Yauatcha Kitchen from Touchfood on Vimeo. Yauatcha’s dim sum teahouse offers all day luxurious dim sum distinctive from its Chinatown competitors. Perfect for a family meal, with friends, large parties and celebrations. Cantonese dishes flood the menu, with influences from all parts of China slightly altered with a modern touch. The traditional tastes remain. Renowned for their 38 types of tea, their cocktails and their patisserie. See this post for a more inclusive summary of what their patisseries have to offer. With an extensive tea menu, you can order pots of different types of tea such as green tea, white tea, black tea, dark tea, flower tea and more. They notably have the Dan Cong Song Zhong tea from Guandong, China priced at £13.30 a pot. There is a reason for this expensive price tag, the Dan Cong Song Zhong tea leaves are harvested from 200 year old trees from the Song Dynasty. Song Zhong is considered the best of its variety, and are heavily treasured by the Chinese. It has a distinct orchid-like sweet taste. We ordered the Jasmine Green tea. They’re taken from Jasmine blossoms, it is subtly sweet – Jasmine tea is one of the most famous teas in China. Highly fragrant and aromatic! Between the two of us, we chose 4 dishes (you would want to make some space for the desserts to come). The fried chilli squid was finely crisped and had plenty of crunch. A generous portion that satisfied our stomachs, it wasn’t very spicy though! We had the sauces on the side to increase the spiciness levels however. This is the real deal. 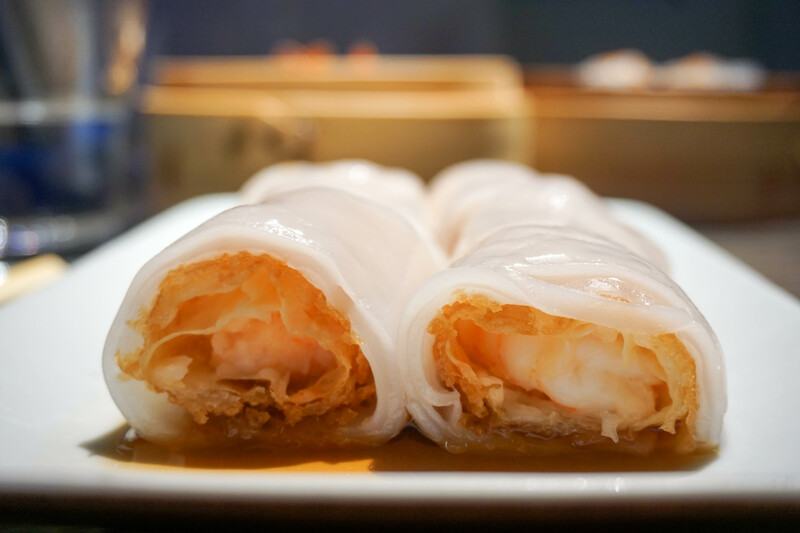 I’m a massive fan of bean curd and prawn and beancurd cheung fun is something I always order at restaurants. Done very well here, crisp but chewy, the addition of the prawns created a very smooth texture overall. Light, sweet soy is usually poured on to these give it the extra sweetness. 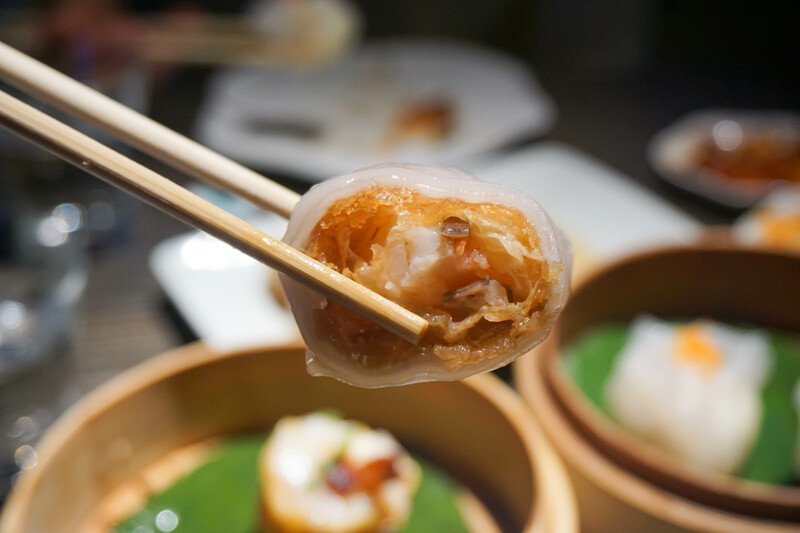 I have always been awe of the dumplings and siu mais sederved at restaurants within the Hakkasan Group. 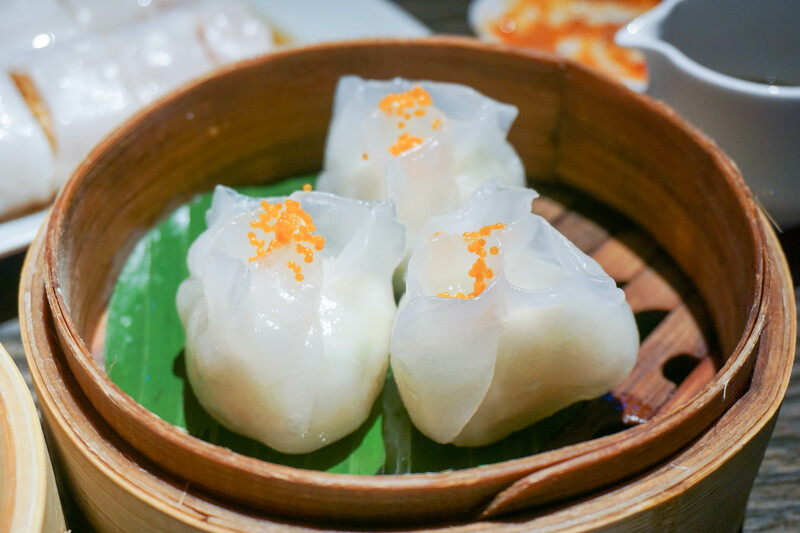 Elegant and exquisite, the prawn shiu mai, is an open topped steam dumpling made with wheat flour wrapper. The lobster dumplings for me was something new, the filling was rich with lobster meat and the orange touch of tobiko caviar finished off the colour co-ordination for this dish. The translucent wheat starch skin was stretchy, chewy but not tough. Perfectly steamed alongside the succulent lobster filling. 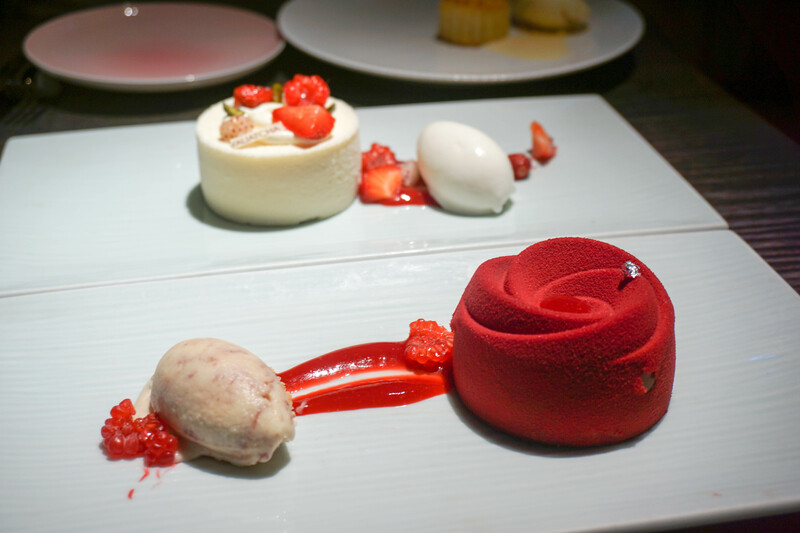 Desserts at Yauatcha are highly recommended, I won’t go into it too much here as there is a separate post for this, but here’s a taster of what’s to come! Service: The waiters here have a breadth of knowledge, ask them anything and they’ll recommend you dishes suited to your taste buds! A great selection of teas, some are slightly pricier than others but their teas are a must try!